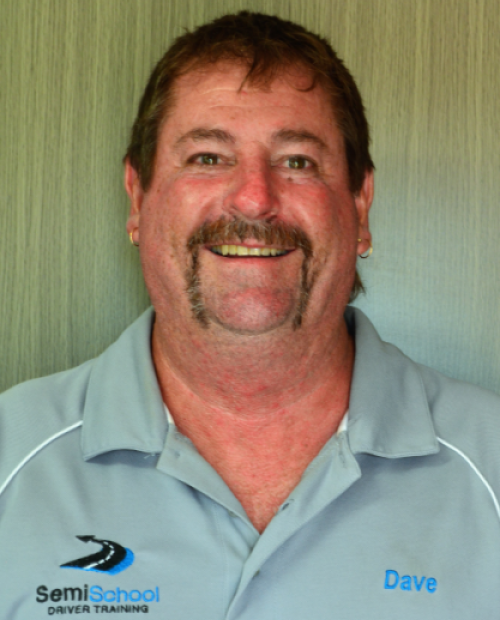 Dave is our talented driving Instructor, training our students in MR, HR & HC. Dave is currently undergoing his Certificate to upgrade in becoming an MC Instructor in the next 12 months. He has been driving trucks for over 15 years and still drives hauling cane when required. 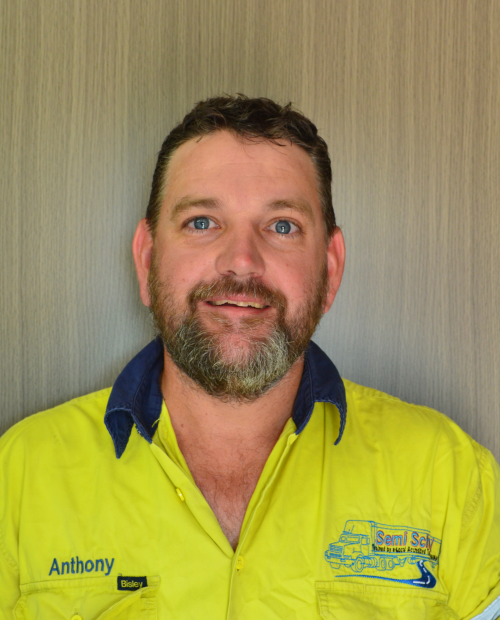 When he isn’t busy training students, you’ll find Dave in our shed maintaining our cane trucks. Dave is never bored! Married with 4 kids, and 3 grandkids he enjoys his downtime with the family and if gets time, enjoys fishing. Anthony is our MC instructor. If he isn’t conducting an MC course or helping out Dave, you’ll find him in the shed working hard, as he is an integral part of our haulage business, in logistics, maintenance and driving. Working hands on in the industry helps his students have a better understanding of what employers are looking for, in turn they become better, safer drivers. Anthony enjoys motorbike riding, spending time with his family and playing squash…..when he gets a spare minute. 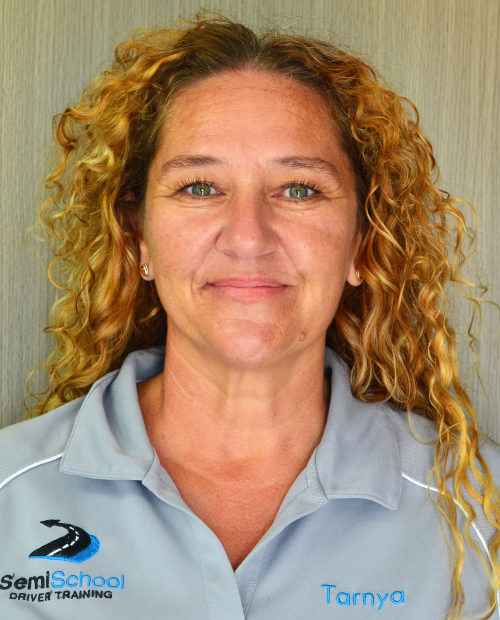 Tarnya has worked in the Admin side of things for the past 15 years and is now the first point of contact with Semi School. Taking bookings….. to just having a chat about what licence you are looking at obtaining next. Tarnya has 2 children and a menagerie of animals, which take a lot of her time and with trying to fit BCFing in, she reckons there’s not a lot of spare time left. In 2019 Tarnya is looking at obtaining her MR Licence, this will help to answering student enquiries. She is a great member of our team.